This project is a partnership with MIRA Rehab to develop a number of ‘Exergames’ for paediatric rehabilitation. The 12 month project commenced in January 2018 and is funded by the MedCity Collaborate to Innovate programme. MIRA Rehab have developed the concept of “Exergames” – exercising through gaming, using state-of-the-art, intuitive movement sensing technology and bespoke content that gamifies physiotherapy, enabling a more efficient delivery of physiotherapy and rehabilitation services, engaging patients to comply with their treatment through an interactive, challenging and fun experience. 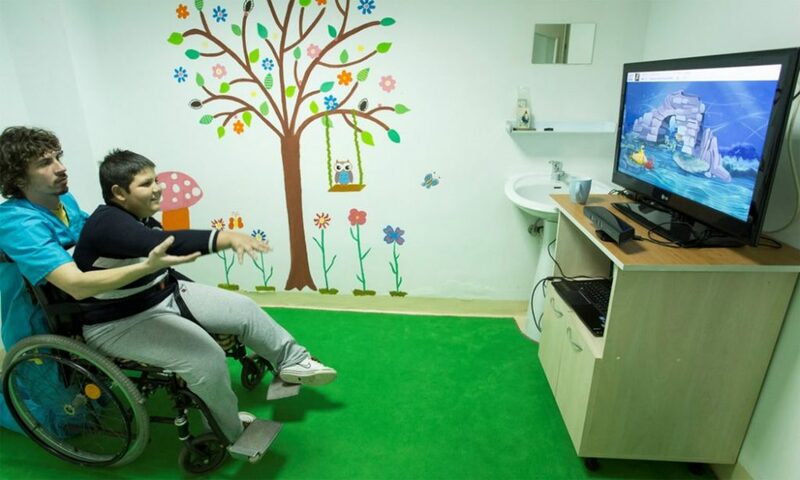 MIRA’s Exergames help patients perform the right exercises, gives them incentives to progress and tracks not only when they have done the exercises, but how effectively they are doing them, both at the clinic or at home. The Imperial College Centre for Engagement and Simulation Science are working with MIRA Rehab to develop and validate their Exergames in partnership with the Paediatric Physiotherapy Units at St Mary’s and Chelsea & Westminster Hospitals. An engagement and outreach phase will commence in autumn 2018 and include events within Central London that will target members of the general public, specific patient groups and healthcare professionals to give them an opportunity to learn more about MIRA and experience the range of Exergames. We’ll be publishing more details on the site as soon as they are available.